Consider the front page story in the New York Times Sunday Review, which singled out the Palestinian issue as “one of the great moral challenges of our time” — ignoring Syria, Ukraine, Iran, Saudi Arabia, Chechnya, Tibet, Cyprus and many far greater moral challenges, which are largely ignored by the hard left. Recall that Hitler was not elected by anti-Semites or because of his anti-Semitism. He was elected as the result of his economic and other policies by people who gave him a pass for his anti-Semitism because they approved of his other policies. People who support Louis Farrakhan because of the alleged good he does for the Black community and despite his overt anti-Semitism are complicit in bigotry, and those who march under the banner of such bigots are only one degree removed from such complicity. Those women and men who marched in the Women’s March under the leadership of Linda Sarsour and Tamika Mallory colluded with anti-Semitism. These two leaders of the Women’s March worship the most influential anti-Semite in the United States today, Louis Farrakhan. They claim to disagree with his crass anti-Jewish (and anti-gay and anti-feminist) preaching — although there is reason to doubt this, as it relates to Jews — but they admire him for his impact on elements of the Black community. They must understand that this impact includes influencing hundreds of thousands of Blacks to consider Jews to be “termites” and destroyers of the world. But they do not care. They regard him as great — Mallory has called him “the GOAT” (“Greatest of All Time”). Marching with these supporters of an anti-Semite is the equivalent of marching under the banner of David Duke, who inspires white supremacists with the same sort of bigotry with which Farrakhan preaches Black supremacy. Hitler inspired pride in Aryans, Mussolini made the trains run on time, and Stalin spread the wealth. But would the women who marched with Farrakhan’s admirers have marched with these bigots? What is the difference? The painful difference is that anti-Semitism is more tolerated on the hard left than other forms of racism. 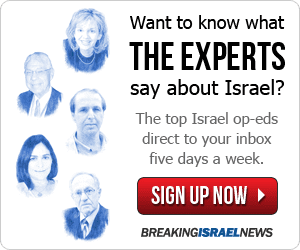 Moreover, anti-Semitism can mask itself as anti-Zionism — singling out only the nation state of the Jewish people for unique opprobrium, an act which is itself a form of bigotry, although one that is acceptable on the hard left. Consider the front page story in the New York Times Sunday Review, which singled out the Palestinian issue as “one of the great moral challenges of our time” — ignoring Syria, Ukraine, Iran, Saudi Arabia, Chechnya, Tibet, Cyprus and many far greater moral challenges, which are largely ignored by the hard left. The Palestinian issue receives center stage on the hard left, not because of how the Palestinians have been treated — they did, after all, reject offers of statehood and the end of the occupation on numerous occasions — but because of who is allegedly oppressing them: namely the nation state of the Jewish people. Back to the marchers and their complicity with anti-Semitism. Recall that Hitler was not elected by anti-Semites or because of his anti-Semitism. He was elected as the result of his economic and other policies by people who gave him a pass for his anti-Semitism because they approved of his other policies. People who support Farrakhan because of the alleged good he does for the Black community and despite his overt anti-Semitism are complicit in bigotry, and those who march under the banner of such bigots are only one degree removed from such complicity. Farrakhan is far more dangerous than Duke precisely because his anti-Semitism is given a pass not only by the hard left, but also by several African American members of Congress and even two former presidents. Would President Clinton have remained at a memorial service if one of those on the stage had been David Duke? Of course not. He would have marched out in protest. 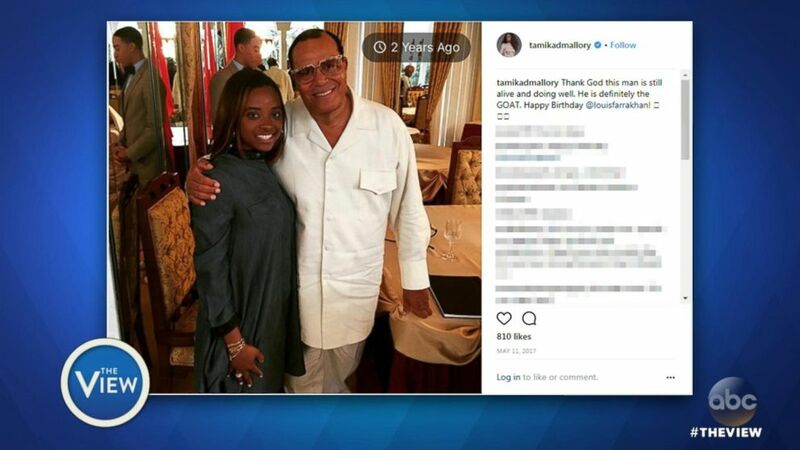 Yet he remained on the stage at Aretha Franklin’s memorial service, sitting only a couple of seats away from Farrakhan, a man who believes he can have a successful career founded on racism, slander and hate. Years earlier, former President Barack Obama posed with Farrakhan and participated in his Million Man March. Would he have done those things with white bigots? So, shame on those women — both Jews and non-Jews — who displayed tolerance for anti-Semitism by marching under the banner of leaders who support the dangerous and influential anti-Semite, Louis Farrakhan. None of their rationalizations or excuses justify their complicity with the very racism they claim to reject. 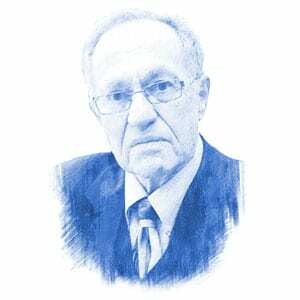 Professor Alan M. Dershowitz is a Brooklyn native who has been called “Israel’s single most visible defender – the Jewish state’s lead attorney in the court of public opinion.” He is the Felix Frankfurter Professor of Law at Harvard Law School. 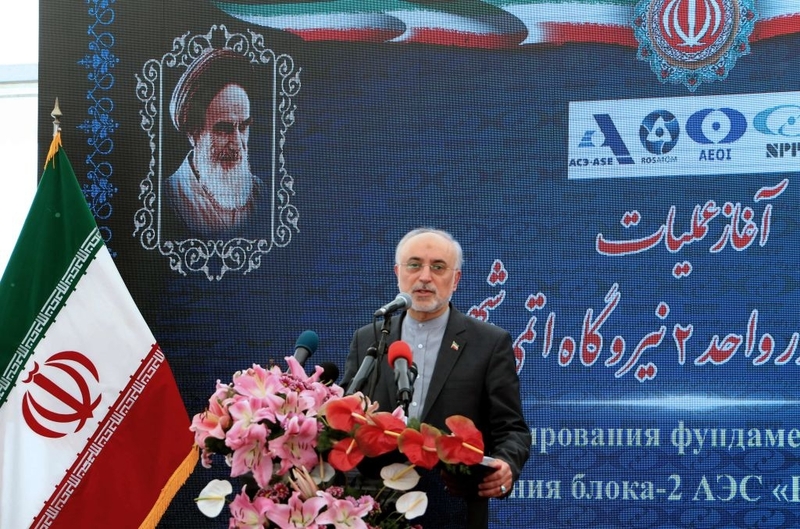 He has also published more than 100 articles in magazines and journals and is the author of 27 fiction and non-fiction works with a worldwide audience.